I am sure most of you remember our frantic efforts to save 350 cows from being sold for slaughtering. I am happy to announce that from our blog, as of today, we were able to rescue 93 cows!!!! If you include Jain folks also, total rescued were 169! For those who do not know the background of this mission – please read this. Now our focus is to rescue these 144 cows. When I first heard about this whole rescue mission, I thought that this is an impossible task to rescue them. 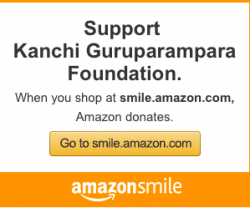 By Periyava’s grace, we were able to rescue 169 in total. I am sure Lord Krishna and Periyava will show us the path to rescue the rest. Team is taking lot of risk to his life in working in this mission. He has been constantly threatened by locals etc. I sincerely pray Periyava to provide all the kavacham around them and give more energy to save all these cows. of the seva as prescribed in our vedas. I am interested in contributing to this initiative. Could you please share details of how many more cows are to be rescued and what the deadline in terms of the date is? 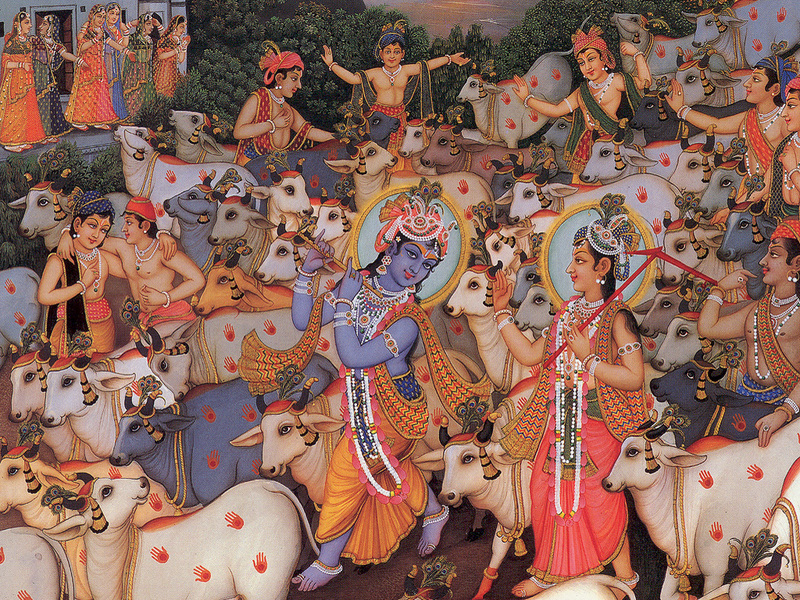 we can do to avoid ghastly situations such as slaughtering of the cows from happening. All details are in the blog. Pl do a search on “Olakudi” and read the posts…. I would like to contribute; I live in Toronto, Canada; how and where to send/transfer money? all the payment details are on the same post…. Can I have ur contact number please? I gave this advice to Sathiya Narayanan and I would like to mention it to you too – both of you, with good intention and to serve a noble cause, have taken up the mantle of mobilising funds for rescue of Olakudi cows. Many donors, based on the appeal, and who are true Hindus having concern for our Gomata, are coming forward to donate hoping that the amount would indeed be utilised for the rescue of cows. Even though you may have full confidence on the person on the ground who gives you information on the number of cows rescued, it is strongly advisable that both of you pay a personal, unannounced visit to the site alongwith donors who are willing to join you, to take stock of the happenings at site and to assure yourself that the inputs provided tally with ground reality. Otherwise, you would be as gullible as the donors in accepting what is dished out to you and the cause you have so passionately taken up may be compromised. Thanks Balaji for cautioning…I have already requested Auditor Mouli who is physically closer to this village to keep a check on them. G.Karthikeyan – Account Number : 2032500100631701 – (S/B ACCOUNT), BRANCH : TEACHERS COLONY BRANCH, ERODE. However donors are complaining of the lack of transparency in utilisation of the donated amount since Karthikeyan has not provided any details on it. Do you have any inputs on how much was received by him in this account and how many cows he bought using that fund. Lack of feedback from receipent is affecting the flow of donations for a noble cause and the entire exercise becoming more difficult due to such lack of transparency. Due to this the donors are left with the impression that they have been taken for a RIDE ! Hope the air can be cleared ASAP. Balaji – I just talked to Karthikeyan and Bala and they are going to send me details of the money he received and how it was utilized. Please wait for 24 hours for more updates. I understand that you talked to Bala also. Let me assure you one thing…Nothing has been spent anything other than rescuing the cows, taking care of the cows etc. I know Mahaperiyava’s view point on this matter really well…Both these boys are periyava/god-fearing boys. I have cautioned them that taking any penny from this fund is quite equivalent to stealing Sivan soththu and the consequences would be drastic. They are aware of that….They still stand as clean as a pure water. I am proud of them…All data pointers will be shared with all of you soon. BTW – you should have waited little longer before you use little harsher words. More than anything, it demotivates hardworking boys on the ground. Mahesh – Since I do not have your email ID, I am forced to respond via this blog. I just stated the sentiments expressed by one of the donors who was frustrated at not getting any response from Karthikeyan for all his followups. I can forward his mail to you in case i have your email id. I do not see any use of harsh words here except reflecting the ground reality of what a donor goes through when no updation is given even after 3 months since receiving the donation. Sorry for the inconvenience to that donor. He could have asked me. Anyways, my email id is mk.netid@gmail.com….It is there under “About” page..
Hi Mahesh, I have just contributed yesterday thru your HDFC A/c. Will you please confirm the same?, This is just to ensure that the money reached safely to the account. I am sure Maha Periyavaa is watching all our efforts, HE is with us , things will take shape. All FIXED. Please read the post again for updated payment information….All are working fine…Please try…Thanks for your patience. The KKSF account isn’t working when I add this list to my account that it needs to be transferred to. Getting the following error. What is the correct last name? Your request can’t be completed. We were unable to find a match for the information you provided. Please enter the correct information and try again or contact the account owner to verify the information. Only personal, not business, checking and savings accounts can be added. I did my part last time after going thru the appeal in this blog. I would like to know if there is any possibility that these rescued cows can be sent to a GoShala in TENALI town in AP. I asked same question to Mr.KathiKeyan thru email but did not get answer for this. absolutely…..can you please take the lead and talk to them and update me? We can gladly send the cows if they guarantee proper care…. I have sent a message to Sri Chintalapati Subramaniam asking him how many cows can he accept. Can you let me know where are these cows are located now ? May I have your contact number or email address please ? ERODE is the Nucleus of all Cow slaughter atrocities. Given below is the news item from DINAMALAR, dated May 06, 2014. Please read through it: HEARTBREAKING. ஈரோடு: ஈரோடு மாட்டுச்சந்தையில் இருந்து விற்பனைக்காக கறவை மாடுகளுடன், கன்றுகளை லாரியில் ஏற்றும்போது, இடிபாடுகளில் சிக்கி, கன்றுகள் பரிதாபமாக இறக்கும் சூழ்நிலை ஏற்படுகிறது. ஈரோடு, கருங்கல்பாளையம் மாட்டுச்சந்தை வாரந்தோறும் வியாழக்கிழமை கூடுகிறது. தமிழக அளவில் ஒட்டன்சத்திரம், திருச்செங்கோடு அருகில் உள்ள மோர்ப்பாளையம், கரூர் உப்பளமங்கலம், பொள்ளாச்சி சந்தைகளைப்போல், ஈரோடு மாட்டுச்சந்தையும் பிரபலமானது. இங்கு வாரந்தோறும் குறைந்தது, 1,000 மாடுகள் விற்பனைக்கு வருகின்றன. ஈரோடு சுற்று பகுதியான சிவகிரி, மொடக்குறிச்சி, பொள்ளாச்சி, திருப்பூர், கோவை, பவானி, அந்தியூர், அம்மாபேட்டை, ஜம்பை பகுதிகளில் இருந்து, கறவை மற்றும் எருமை மாடுகள் விற்பனைக்கு கொண்டு வரப்படுகின்றன. தவிர, புதன் கிழமையன்று நடக்கும் அடி மாட்டு சந்தைக்கு, ஏராளமான கன்றுகள் மற்றும் மாடுகள் விற்பனைக்கு வருகின்றன. கறவை மாடு சந்தையன்று, கன்று ஈன்றக்கூடிய மாடுகள், பில்லா, செவலை, கறுப்பு, வெள்ளை மாடுகள் குவிகின்றன. இவற்றை வாங்கிச் செல்ல கேரளா, கர்நாடகா, ஆந்திரா, புதுச்சேரி மாநிலங்களில் இருந்து வியாபாரிகள் குவிகின்றனர். மாடு விற்பனை மூலம், சாதாரணமாக வாரம், ஒரு கோடி ரூபாய்க்கு விற்பனை நடக்கிறது. விற்பனைக்காக, விவசாயிகள் தங்கள் மாடுகளை, அவரவர் முற்றத்தில் இருந்து, ஆட்டோ அல்லது, டெம்போ மூலம் மார்க்கெட்டுக்கு பாதுகாப்பாக கொண்டு வருகின்றனர். அவ்வாறு விற்பனைக்காக வரும் மாடுகள், சந்தைகளில் உள்ள மொத்த வியாபாரிகளிடம், பேரம் பேசி, ஆந்திரா மற்றும் கர்நாடகா மாநிலங்களுக்கு ஏற்றுமதி செய்யப்படுகிறது. வெளிமாநிலங்களுக்கு விலைபோகும் தமிழக மாடுகள், லாரி டிரைவர் மற்றும் கிளீனரிடம் மிதிபடும் அவலம் பரிதாபத்துக்குரியது. வாடகையை காரணம் காட்டி, வியாபாரிகள், கறவை மாடுகளுடன் அதன் கன்றுகளையும், அடிமாடுகளை போல் லாரியில் ஏற்றிச் செல்கின்றனர். வாயில் நுரைத்தள்ளியபடி, நிற்கவும் முடியாமல், பயணிக்கவும் முடியாமல், லாரியில் கறவை மாடுகளுடன், அதன் கன்றுகள் வதைப்பட்டு செல்கின்றன. இவ்வாறு லாரியில், ஒன்றோடு ஒன்று மாடுகளை லோடிங் செய்யும்போது, பிறமாடுகளுக்கு இடையில் சிக்கி, இளங்கன்றுகள் இறக்க நேரிடுகிறது. இதுபோன்ற சம்பவம், ஈரோடு மாட்டுச்சந்தையில் வாரந்தோறும் நடக்கிறது. ஈரோடு, கருங்கல்பாளையம் மாட்டுச்சந்தை மேலாளர் முருகன் கூறுகையில், “”கன்று ஈன்ற கறவை மாடுகள், லாரியில் செல்கின்றன. சந்தையில் பிரசவிக்கும் கன்றுகளை, தாய் மாடுகள் நாக்கால் வறுடியபின், எழுந்து நிற்கும். 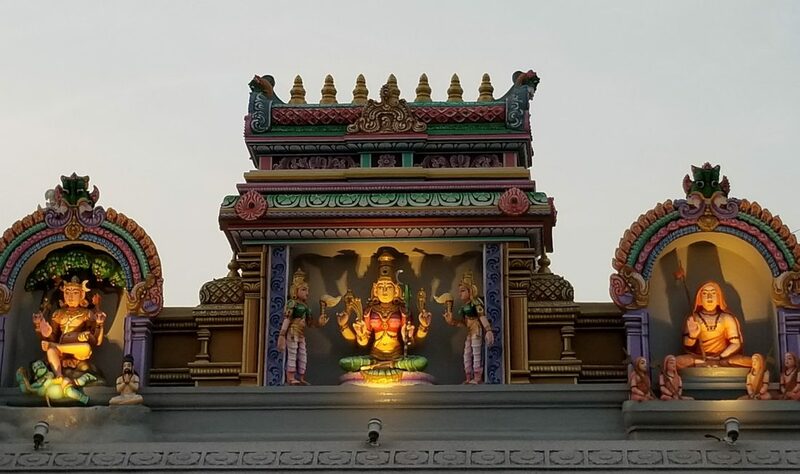 அதுவரை மயக்க நிலையில், தரையில் படுத்து கிடக்கும். கன்று ஈன்ற மாடுகள், தாய் மாட்டின் அரவணைப்பில் இருக்கும்படித்தான், லாரியில் ஏற்றுவோம். ஆனால் இடிபாடுகளில் சிக்கி கன்றுகள் இறக்க வாய்ப்பில்லை,” என்றார். Dear All – My humble request is even if you have contributed already, PLEASE CONTRIBUTE AGAIN. It is our RESPONSIBILITY to protect both Veda and Gho’s which according to Maha Periyavaa are the top two priorities. Maha Periyavaa has very clearly stated that Gho Matha is walking temple herself and killing her is an equivalent or more sin to slaughtering our mother. ANY AMOUNT OF PHYSICAL OR FINANCIAL CONTRIBUTION IS MORE THAN WORTH IN SAVING HER. 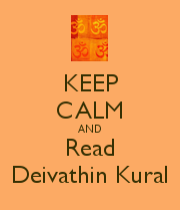 I will shortly post some of the key points from Deivathin Kural on Gho Samrakshanam. What is the “Bank statement zip code” for the bak of america transfer ? Your blog “Quick update on cow situation in Olakudi Village” dated MARCH 6, 2014, mentions rescue of 200 cows out of 350 cows. However the current blog mentions rescue of only 169 cows and there is no mention of the 100 cows rescued by Mahavir group of companies, Coimbatore. He mentions that lack of clarity between the blogs is leaving the prospective donors confused and leading to doubt etc. Can this be clarified so that there is no further confusion here. Coimbatore group did not rescue although they promised. Perhaps it is periyavals wish that maximum rescue should happen through individual contributions from this blog temple. We are 93*,but can do more if we play 20-20 in 20 days! Air gets purified with Trees,Body gets purified with taking bath, Wealth gets purified with charity, Soul gets purified with GOSEVA. Hats off to you for addressing such a NOBLE Cause and assisting in the rescue of so many cows destained for slaughter. Hi.Mahesh. Its very painful. I am sure Maha Periyavaa helps in one or the other way to save these Cows from slaughtering and arrest these sorts of situation in future too. Bhuvana is my wife lives here in chicago. My number is +00-1-949-478-3722. We are tracking all contribution through our online access. Thanks for the concern.